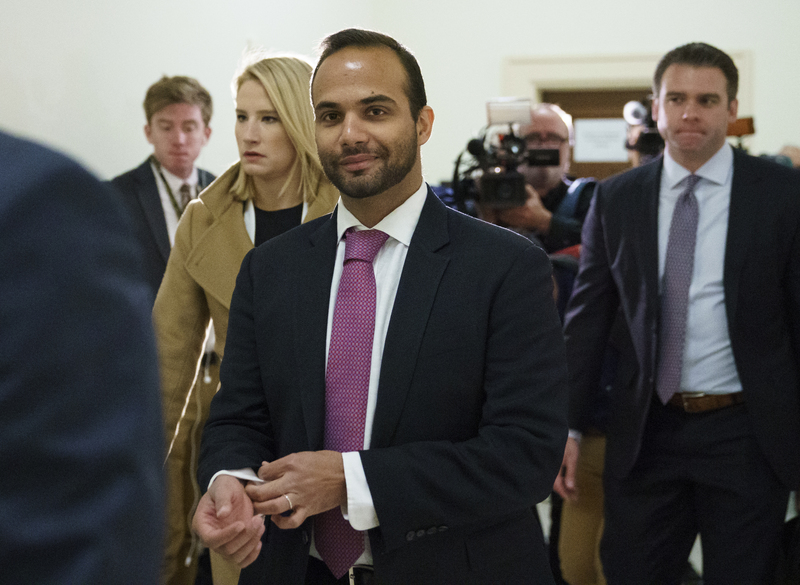 (CN) – Former Trump campaign foreign policy adviser George Papadopoulos began serving his two-week prison sentence on Monday after a judge rejected his last-minute bid to remain free. He arrived at a minimum-security camp in Oxford, Wisconsin, according to the Federal Bureau of Prisons. Papadopoulos, the first campaign aide sentenced in Mueller’s investigation, triggered the Russia investigation two years ago. He was sentenced in September for lying to the FBI about his interactions with Russian intermediaries during the 2016 presidential campaign. He had sought a postponement of his prison term until an appeals court had ruled in a separate case challenging the constitutionality of special counsel Robert Mueller’s appointment. But in a 13-page opinion released Sunday, U.S. District Judge Randolph Moss said Papadopoulos had waited too long to contest his sentence. Moss also said that Papadopoulos had agreed not to appeal in most circumstances as part of his plea agreement and the judge said the challenge to Mueller’s appointment in the D.C. Circuit was unlikely to be successful. The judge noted that to date four different federal judges have upheld Mueller’s appointment as proper. His opinion also details the extent of the lies Papadopoulos told the FBI. Papadopoulos He also told the special investigation the professor told him about “thousands of emails,” however the relationship was one-sided with the professor only taking interest in him because of his connection to the Trump campaign.